- Hygienic seamless One-Piece design - no place for bacteria to hide! - Best /perfect holiday / birthday gift for your friends and family - Super low price for a limited time only, don't hesitate to save money NOW! 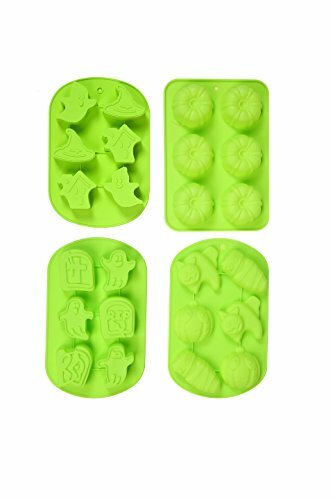 The 4pcs baking mold size is :11.26-inch by 6.57-inch by1.34-inch deep;10.04-inch by 6.22-inch by1.1-inch deep; 9.88-inch by 6.73-inch by1.06-inch deep;11.02-inch by 7.08-inch by1.57-inch deep. High quality construction; long lasting performance; meets European and FDA standards for silicone bakeware,completely safe to be used in freezer, oven & microwave. Our silicone baking cups / cupcake liners are designed to withstand thousands times' usage, totally a money saver! ihomecooker Baking Mold is EASY TO CLEAN - Non-stick, spotless & odor resistant feature ensures the silicone baking cups / molds very easy to clean. Simply rinse them in warm soapy water or place in dishwasher after use! If you have any questions about this product by ihomecooker, contact us by completing and submitting the form below. If you are looking for a specif part number, please include it with your message.